We at Charleston to Charleston are thrilled to announce details for the second annual collaborative literary festival taking place in Charleston, S.C. November 8–11, 2018. The festival, called Charleston to Charleston, is formed in collaboration with the Charleston farmhouse in Sussex, home to the Charleston Festival, one of England’s premier literary gatherings, and the Charleston Library Society, South Carolina’s cultural and intellectual living room. 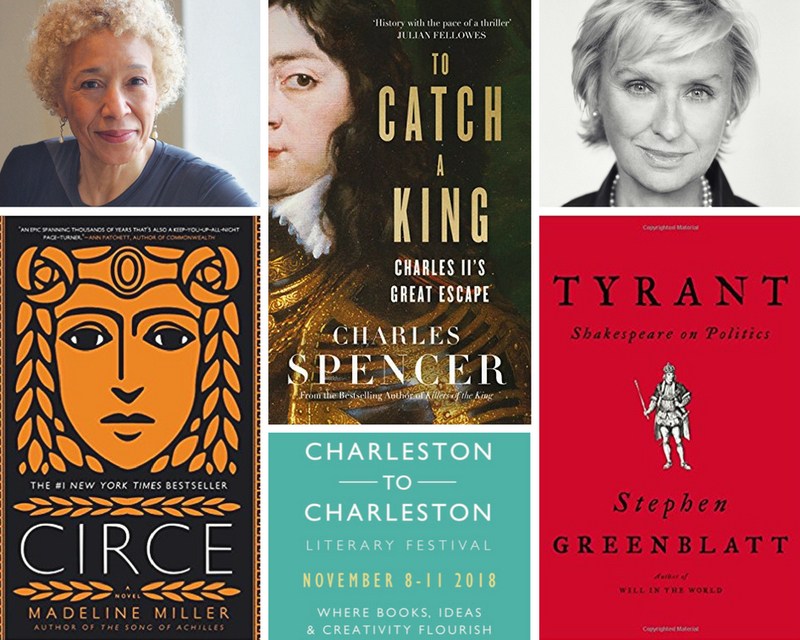 The Charleston to Charleston Literary Festival will once again offer a stimulating weekend series of programs supporting all things literary, scholarly and creative with authors, readers and thinkers from around the world. Events will take place in the historic Beaux Arts building of Charleston Library Society and The Dock Street Theatre, the first building built exclusively for theatrical performances in the United States. Confirmed speakers include Earl Spencer, Tina Brown, Stephen Greenblatt, Margo Jefferson and Madeline Miller. In addition to being an on-air correspondent for NBC and Today, Spencer is also known for his work in The Guardian, The Daily Telegraph and Vanity Fair and is the brother to Diana, Princess of Wales. Tina Brown is known for being the former editor for both Vanity Fair and The New Yorker as well as the founder of The Daily Beast. She is also the author of The Diana Chronicles, a biography of Princess Diana. Stephen Greenblatt is best known for Swerve: How the World Became Modern, which received the National Book Award in 2011, as well as being the general editor of The Norton Shakespeare. His current books are The Rise and Fall of Adam and Eve and the much anticipated Tyrant: Shakespeare on Power; Margo Jefferson is acclaimed for her memoir Negroland which won the National Book Critics Circle Award for Autobiography and her book, On Michael Jackson. Madeline Miller, author of the spellbinding Homer re-interpretation The Song of Achilles - a New York Times best-seller and Orange Prize winner - and Circe, which makes Homer pertinent to the #MeToo generation. All event tickets are now on sale, and individual session tickets will be available starting July. To purchase tickets, visit https://bit.ly/2JmtOFG or call 843.723.9912.